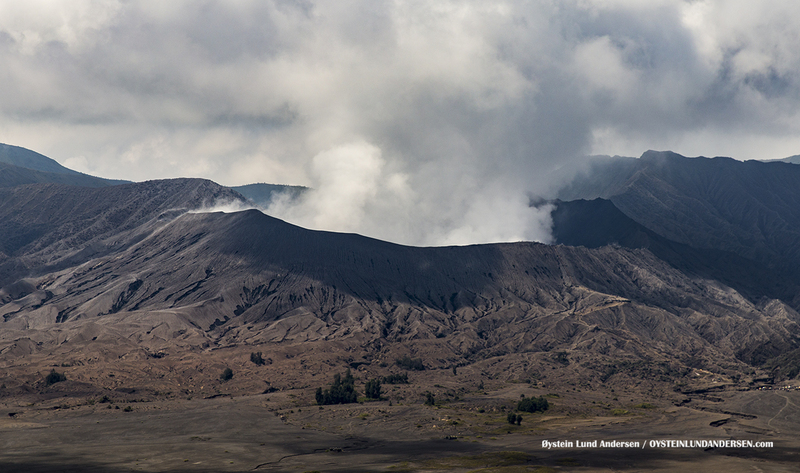 Troughout the last week of September and first weeks of October, Bromo again returned to a intermittent state of ash-venting and degassing. The eruptions and Ash-venting was observed to be weak, and the volume of Ash was low, compared to previous Activity earlier in 2016. 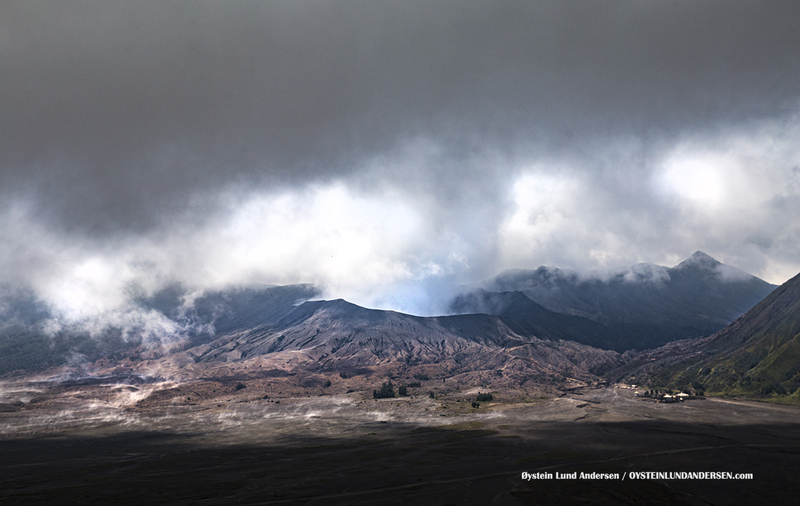 The Indonesian Volcanology Survey (PVMBG) lowered the alert status of Bromo from Level 3 to Level 2 on Sunday 23th October. During November I have not seen reports of any ash-emissions from Bromo, and my impression is that the Volcano is in a state of degassing, only emitting a low to medium pressure gas plume. Weather conditions was in the area have been poor during November, and during my visit, fog prevented observations most of the time. When observed Bromo was seen emitting a low-pressure gas plume. Bromo with a embraced by fog. Weather conditions in November signal the arrival of the rainy season, as the area is most of the time covered in fog. 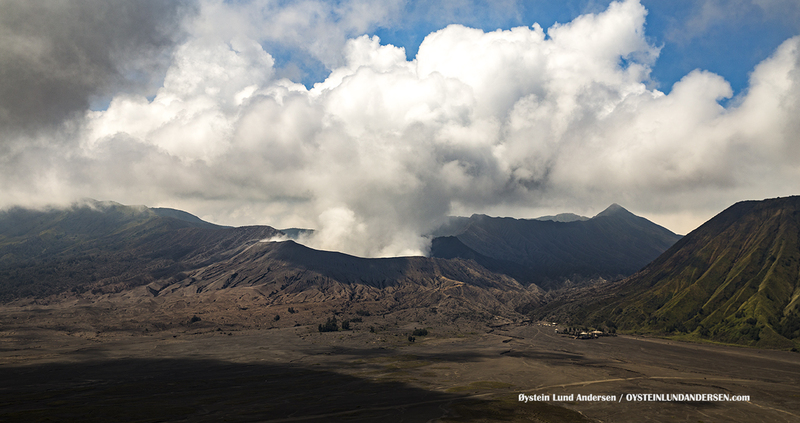 After the fod cleared, Bromo is seen emitting a low pressure gas plume.